Tamil Nadu SSLC Results 2009. The 10th (or) SSLC Results of Tamil Nadu Board examinations would be released at 9.30am on May 23. The results can be accessed on a websites and through phone and e-mail as well. School students can get their marks at the same time from their respective schools. For BSNL Tamil Nadu circle SMS READMORE..
UPA emerges as a strong winner in a healthy competition against NDA. It is confirmed that UPA led by congress is in the process of forming a new government and it is expected that the new governmant would come into existence by MAY 21. Meanwhile all parties are agreeing to support the party pushing the numbers tally clearly towards Congress to stake claim to form the Government. Congress Parliamentry Party elects Manmohan Singh as PM candidate. Pranab Mukherjee is the leader of Lok Sabha. Congress to stake claim to form the government tomorrow. Sonia Gandhi elected as president of CPP. BSP (21) agrees to unconditionally support Congress from outside. Manmohan Singh asked me to help form a secular government told Mayawati. Kamal nath,Pranab mukherkee likely to be the finance minister. Chidambaram likely to be the Home minister. Congress opposed to Montek Singh being the FM, want a politician to be the FM. Kapil Sibal minght get HRD if Rahul declines. DMK asks for 3 cabinets and Congress is expected to give 2. Twenty cabinet berths to be given to allies. Kolkatta Knight Riders, fought seriously but had to fail more than a lot of times. But today, kolkatta managed to register their second victory in IPL 2009. Kolkatta won a close match against the powerful Chennai Super Kings team led by the Indian Captain Dhoni. A dazzling batting display by Brad Hodge and Brendon McCullam gave Kolkata a victory at last at the fag end of this IPL. Unfazed by a daunting target of 189, they triumphed over Chennai by 7 wickets at the end. Earlier, Suresh Raina, MS Dhoni and a little cameo by Albie Morkel propelled CSK to a total of 188. But the night belonged to the KKR batsmen who stole the show in the penultimate over of the match. Brad Hodge teamed up with Wridhiman Saha to launch an all out attack during the last 5 overs to amass 58 runs decimating the Chennai Super Kings bowlers. It was CSK’s Lakshmipathy Balaji who bore the maximum brunt of KKR beating. If Saha was severe on him in the 17th over plundering 14 runs, Hodge went a step further when Balaji returned on the 19th to pile up 19 runs off it. Those two big overs, coupled with slack fielding by CSK during the death overs sealed the game in favour of KKR. But it all started with McCullum at the top. He cracked a 48-ball 81 runs (a Batting Momentum or BM of 137) which paved the way for Hodge and others to go all out after the CSK bowling. Playing sensible cricket, McCullum and Hodge carefully avoided being extravagant against Muttiah Muralitharan, but didn’t spare the other bowlers of CSK in their chase. Hodge remained unbeaten on 77 runs off 44 balls (BM of 135) for which he was awarded the Man of the Match. The loss dented CSK’s charge to the semi-finals as they now face a must-win situation in their last match. 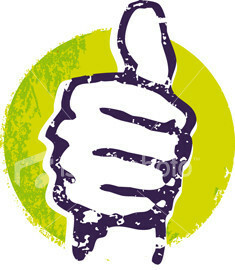 The world’s largest democracy voted and general elections 2009 have concluded on May 13, 2009. now time for the results. 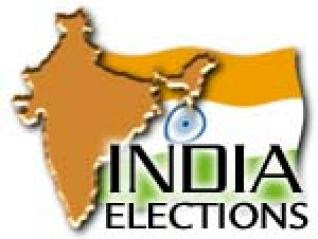 Get Live update on 15th Lok Sabha Election Results 2009 from 8.am on May 16th. While there are 714 million eligible electorate at about 828,000 polling stations the turnout was only about 59 to 60%.this is still a little higher than the previous elections. Political parties already started mudslinging to reach the magic figure of 270 and the two major parties are unarguably the Indian National Congress which ruled the country for over 4 decades and the Bharatiya Janata Party, the Hindu nationalist party. There is also a third front with communists and some socialist and regional parties vying for the big seat.it will be interesting to see which party/alliance will emerge the winner of elections in India. Based on several exit poll surveys it is clear that a clear majority of any party is a hard outcome and there is going to be a new trend unfolding in Indian politics. HSc results are going to be announced.